This is LeBron’s 15th All-Star Game appearance and he doesn’t show any signs of slowing down. His ridiculous stat line is going unnoticed because we’ve come to expect this from him. If we were seeing these numbers from Derrick Rose, he’d be in included in the MVP talks but this is just another Hall of Fame season from LBJ. This is Steph’s 6th All-Star selection and his 6th time being named a starter. The 2-time MVP, 3-time NBA champion will bring his ridiculous dribbling and sharpshooting ability to Charlotte. He was an obvious lock for a starting spot. Harden’s 36.2 points per game is the most in the league by a long-shot. (Steph Curry is 2nd with 29.5 ppg). This is Harden’s 7th All-Star Game and he is on pace for his 2nd MVP this season. The referees infatuation with Harden has led to a league leading 538 free throws attempts, which is an astounding 85 more than second place. Paul George being selected a starter in his 6th All-Star Appearance means that Oklahoma City has found someone who can excel alongside Russell Westbrook’s ball dominant style. If the season ended today, Paul would be a shoe-in for an All-Defensive 1st team selection. The fact that KD is scoring at this rate alongside Steph Curry is insane. A duo scoring at this rate has seldom been seen throughout history. This is KD’s 10th All-Star Appearance and I wouldn’t expect this to be his last. This is Giannis’ 3rd All-Star Selection. 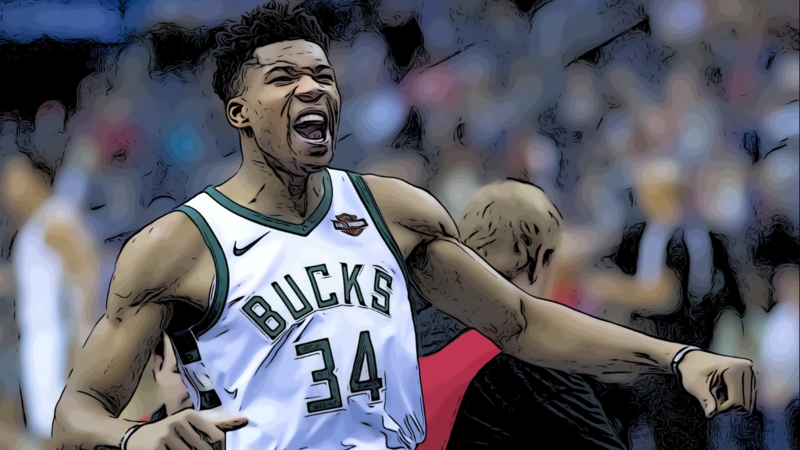 He’s been on an absolute tear all year and has propelled the Bucks to the top spot in the East. The Greek Freak’s 8.2 Win Shares is 4th in the league. Embiid is currently top-10 in the league in Blocks, Field Goals, Points, Player Efficiency Rating, Defensive Win Shares, Usage Rate, Total Rebounds, and Free Throws Made. Joel’s importance to the 76ers organization cannot be understated. He’s only in his second full year and he’ll only continue to improve. This is Kemba’s 3rd All-Star selection and his first time being selected as a starter. The game is being played in Charlotte this year, where Walker has played since 2012. Expect Walker to go for the MVP in front of his home crowd. This is Irving’s 6th All-Star Selection and he’s made it clear that he isn’t pleased with the lack of defense during past games. He’s also complained about the lack of defense during the regular season. Maybe he’ll help the game evolve and drive some healthy competition.